Zak's Sidewalk: Is your dog awesome? 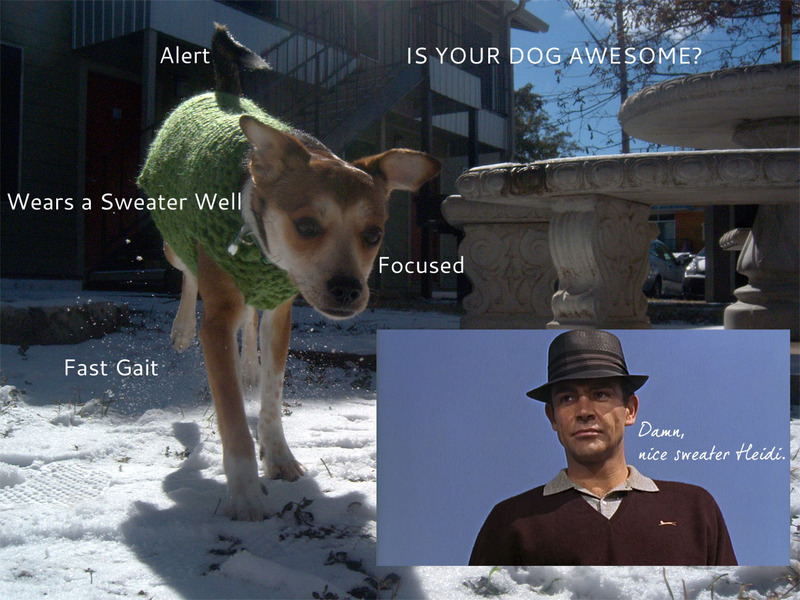 An awesome dog is alert, focused, fast, and wears a sweater well. I've only seen a sweater worn this well on two other occasions. The first was in 1964; Sean Connery was investigating a gold magnate's smuggling and a plot to contaminate Fort Knox's gold supply. The second was five years later when George Lazenby wooed a mob boss' daughter and went undercover in the Swiss Alps. 42 years passed before a sweater was again worn so well. Thank you awesome dog.